Multiple Personality Disorder (MPD), also known as Dissociative Identity Disorder (DID), is a psychological illness that is debated among psychologists as well as laypeople. The question at hand asks whether or not MPD/DID is real. Also, if the disorder is real, do television series and movies accurately portray it? First, let us look at an example of DID from the perspective of the media. Yu Yu Hakusho, a fictional Japanese animation with supernatural themes, featured a character with dissociative identity disorder in its third season. The character featured was a powerful man named Shinobu Sensui, who plotted with six psychics to end the human race. The protagonists, a team of well-intentioned humans and demons, set out to stop their plans, as Sensui was the main antagonist of the season. Throughout the season, the protagonists discover varying psychological weaknesses in the psychics, including gullibility, isolation, social rejection, and a sense of invincibility. 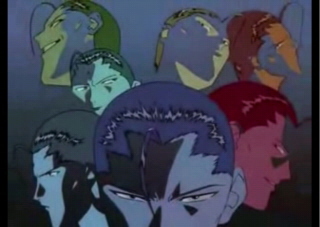 Sensui turned out to be the most complex of “Sensui’s Seven,” possessing six other personalities besides his original personality. In his younger years, Sensui possessed a rigidly dichotomous view of right and wrong. He worked as a spirit detective, slaying demons when told by the authorities of the Spirit World. This served justice in his mind, as he believed that practically all demons intentionally harmed humans. However, his life was forever changed after witnessing humans torturing demons at a large formal gathering. Sensui was horrified and shocked to the point of committing a mass murder of the humans at the event, then commenced planning how to destroy the human race, later meeting up with his coconspirators. 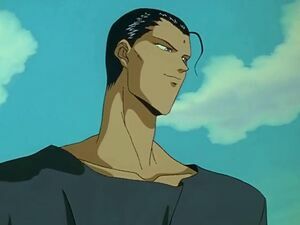 Sensui’s additional personalities worked to carry his deep psychological burdens, leaving his original personality, naïve, fairness-oriented Shinobu, pure. His other personalities included manipulative and smooth Minoru, sadistic and violent Kazuya, and an artistic, emotional female personality (Wikia, 2012). The seven personalities of Shinobu Sensui. Furthermore, it is important to review the official concept of DID. According to the DSM-IV, DID is different from other mental disorders in that it involves a serious traumatic stressor (e.g. witness or experience violence and/or other harmful acts from another human being), two or more distinct personalities, personalities controlling the patient in a serial manner, and abnormally long periods of forgetfulness (Advameg, 2012). At first it seems rather straightforward, but the disorder becomes more complicated as people attempt to debunk myths surrounding DID. Those claiming to clarify the disorder assert that DID is not very rare, does not involve distinct personalities and that therapy does not in fact worsen the disorder (as seen in many cases), among other things. Then, it is sometimes reported that DID can be as simple as behavior patterns and conditions (e.g. self-destructive behaviors, depression, forgetfulness, and PTSD-like symptoms) that signify a temporary “loss” of the self (Tartakovsky, M., 2011). In conclusion, DID is debatable. I personally believe it is not real, especially the dramatic type as seen in Shinobu Sensui and Hollywood productions. Shinobu Sensui was certainly a tortured, disturbed, and mentally ill character in Yu Yu Hakusho, but he did not have a legitimate case of DID in my opinion. His use of “multiple personalities” was merely a subconscious way to excuse his horrific crimes and preserve his overly black-and-white thinking patterns to the point of twisting them. He may have legitimately been ill with another disorder, such as schizophrenia, but it is difficult to examine a fictional character with limited information. I believe that society should consider this viewpoint on DID, because the media distorts the idea of the disorder (if it is real), misrepresenting the field of psychology in general. Advameg. (2012).Dissociative Identity Disorder. Encyclopedia of Mental Disorders. Retrieved from http://www.minddisorders.com/Del-Fi/Dissociative-identity-disorder.html. Tartakovsky, M. (2011). Dispelling Myths about Dissociative Identity Disorder. Psych Central. Retrieved from http://psychcentral.com/lib/2011/dispelling-myths-about-dissociative-identity-disorder. Wikia. (2012). Shinobu Sensui. Yu Yu Hakusho Wiki. Retrieved from http://yuyuhakusho.wikia.com/wiki/Shinobu_Sensui. This personality looks like Minoru. Like we heard in class there where less then 200 cases of DID in the early parts of the 1900s but now there are 100,000s of cases and this is quit alarming. I also don't believe DID exist instead it is a result of stressers and people loss tracks of time as a result. The fact that it is so hard to prove if it is really bothers me the most. I feel as though people who look for refuge in this disorder are have other severe problems in their lives.